Keeping a garage clean and cutter free, while keeping everything organized is something every homeowner wants. It can be challenging to storage everyday items out where they are easily accessible, while maintaining an organized appearance. We are going to show you a few ideas that everyone can use. If you constantly have a pile of shoes near the door in your garage, this is for you. Maybe you’ve used a box or storage tub to keep them in one place, but find yourself sorting through the whole box to find your shoes. Shoes piled on top of each other isn’t a great idea. First, buy a coat rack with several hooks and mount it near the floor. Hang one shoe per hook. You can repeat this as many times as you wish, depending on the amount of shoes you need to hang. When hanging these, be sure to leave enough space between each rack for the shoes to hang. 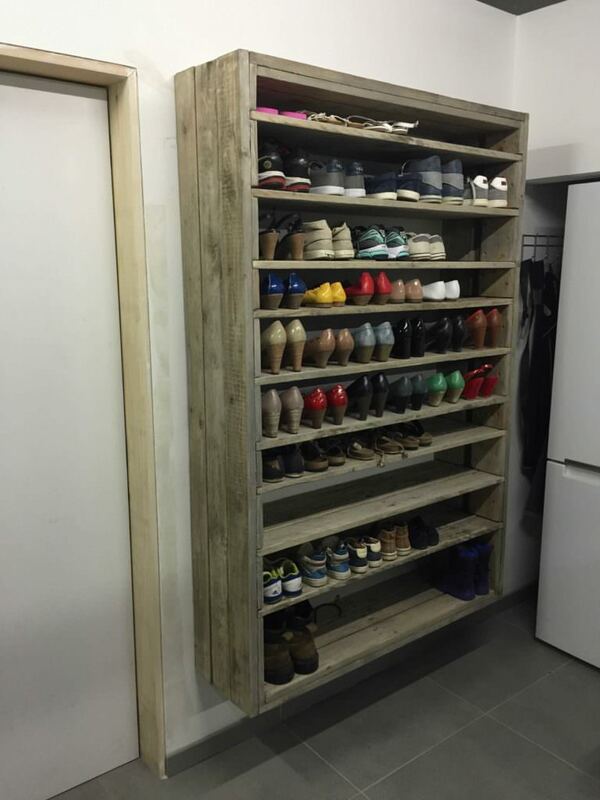 If you have pallets laying around, you can cut them and hand them on the walls as shoe racks. This is an easy project. You can find many tutorials online to help you. If you want to add a little color to the garage, you can paint these. Another option for storing your shoes is to cut PVC pipes and stack them on top of each other, using glue to keep them together. Each pipe will hold one shoe. When you a purchasing the pipes, be sure to buy pipes that will hold each shoes. If you want to store the shoes by pair, buy a larger pipe that will hold two shoes. 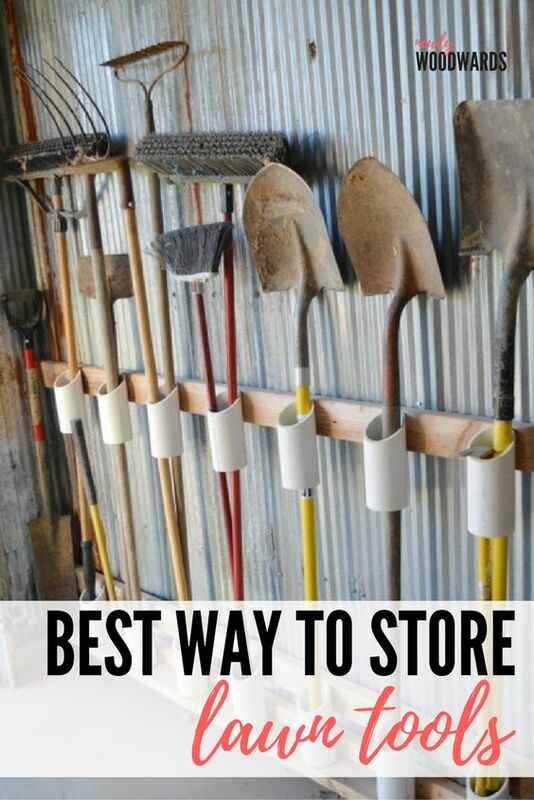 The first idea is to hang a coat rack with hooks and hang your brooms, shovels, and other equipment that has a hole in the handle. Be sure to think about the diameter of each hook when you are purchasing them. If you don’t want to hang them, there are a few ways to keep them from falling over, while storing them standing up. The first is the easiest. Lay a pallet on its side and bam! You have a created a box to hold them. The other idea involves PVC pipes. Frame a box and screw standing PVC pipes to the box. This will store your equipment standing, but not piled on top of each other. For fishing pole storage, mount a foam noodle (found near the swimming pool toys). Make vertical cuts about three inches apart and slide the fishing pole into the groove. Your fishing poles will be stored standing and separate from each other. Soccer balls, basketballs, and volleyballs don’t have to be stored in a box on the floor. You can easily create a bungee cord system, like you see in the store. Mount a wooden square frame to the wall. Attach bungee cords on both sides and the front. Now you have a place to hold all of your balls. Using the example above for lawn equipment using PVC pipes, the same structure can be made for baseball bats and hockey sticks. Be sure to take in consideration the size when purchasing the pipes. Mount a cord winder to the wall. You can add as many as you need. 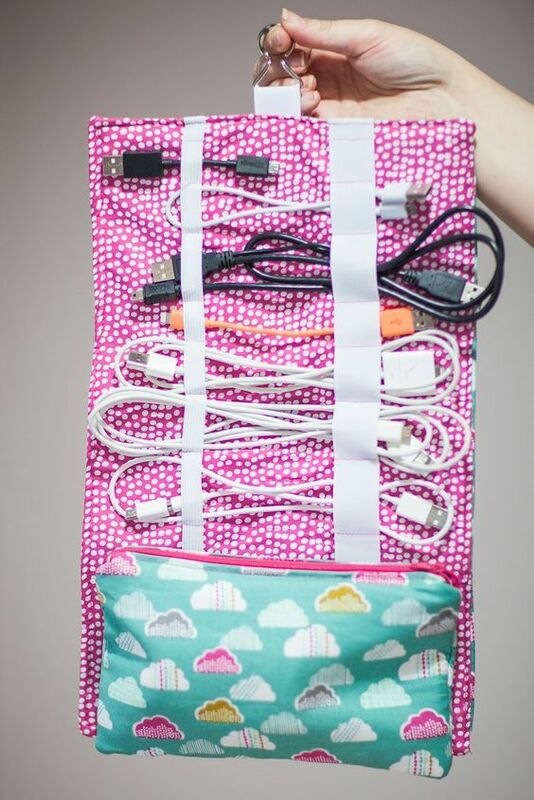 This is a great way to keep them from getting tangled. If you want to save some money, you can mount a large hook and hang the coiled cords on it. The other option with the hook is to buy a plastic chain. Hook one end to the hook, then wrap it through the cords and attach the other end to the hook to secure it. Turn plastic window planters into shelves. These are inexpensive and easy to mount. You can opt for different sizes to fit your needs. You can paint these also to match your decor. 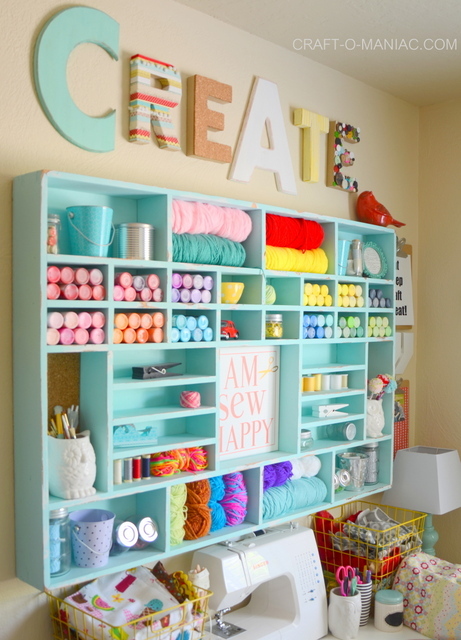 If you don’t want to add screw to your walls you can stack wooden boxes or milk crates on their sides to create cubicles to hold your smaller items, even shoes. There are wooden and plastic cubicles that you can purchase that are a great way to keep your smaller items, like tools and toys, organized too. 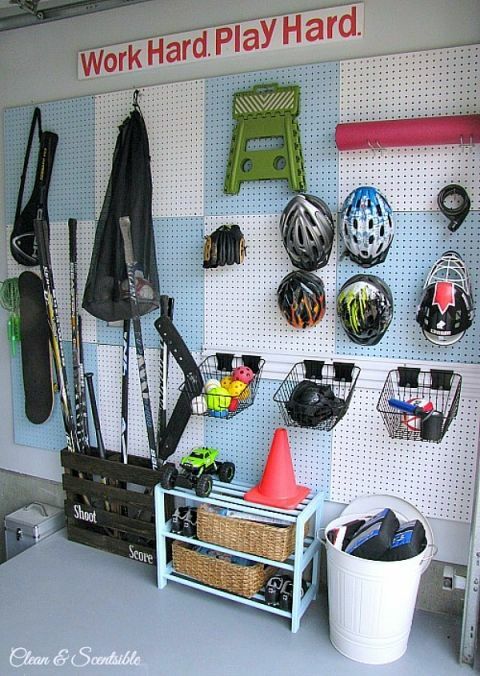 If you want organization, but aren’t into DIY, you can call in the pros to help you with garage storage. This isn’t as expensive as you may think. These professionals will find out your needs and install shelving and cabinets to fit your needs. They will give you ideas and will make sure that you have storage that is strong enough to hold your stuff, like hanging a heavy bike. A messy garage can be such a headache. If you are tired of shoes piled up and lawn equipment constantly falling over, these tips will help you be organized and make your garage look better. Before heading to the store, make a plan of what you want to store and take a few measurements. These are really amazing garage arrangement ideas. Sometimes searching for old items in our garage worries me, because it’s so clumsy. I’d follow this guide and see what progress can be made as far as organizing it.